Would you like to explore and clarify your academic and career options, practice job search and networking skills, learn what it takes to be a professional, and maximize your research skills as you prepare to continue your education (transfer), and/or enter the workforce? If you answered YES to the questions above, then the Career Action Distinction is for you! 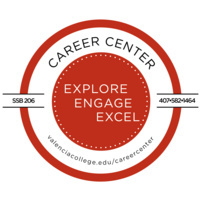 To participate in Valencia College's free co-curricular program offered by the Career Center, you are required to attend an orientation session. Learn how to earn 100 points towards the certificate by participating in skillshops, events, and activities.